Free Rose Gold Eyeshadow Palette By e.l.f! e.l.f. Cosmetics best-selling Rose Gold Eyeshadow Palette, now in warmer, deeper sunset shades! This 10 color palette is a mix of shimmer and matte finishes to help create multidimensional looks. These ultra-pigmented, finely-milled eyeshadows glide on perfectly whether you’re in the mood for a subtle or bold eye. Apply dry all over the eyelid with your favorite eye brush for a subtle wash of color or apply wet for a vibrant effect. Choose a light color to apply all over the eyelid as a base or to highlight. Next, apply a medium shade over the eyelid or in the crease to contour. Then, apply the darkest shade to define and line the eye for depth and a smoky look. Beauty tip: This palette is perfect for smoky eyes, or evening looks. Apply deeper shades for a more sultry look. 4. 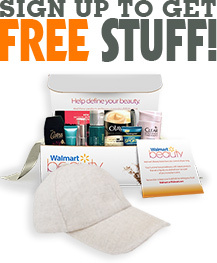 Click on the “Get Offer” button and it’ll take you to your select beauty merchant. 5. Add any items over $10 to your cart, or search for "Rose Gold Eyeshadow Palette - Sunset" and checkout as you would normally. 6. Once you checkout, in about 14 days $10.00 will post in your TopCashback account. First, sign up here and select ULTA!